Medicaid is a program that was created for low-income people. For many senior citizens it becomes necessary to get on this program for an extended period of time. Whether this is to provide in-home medical care for chronic illnesses or to help pay for expenses associated with living in an assisted living community or nursing home, it is important to ensure you plan properly to avoid any potential problems. Whether you are just coming up on a situation where you will need long-term Medicaid or you have previously been self-funding your care and you are worried about running out of assets, we are here to help. 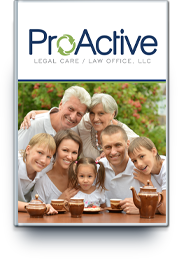 The ProActive Legal Care Law Office has years of experience working with seniors and their families to help them qualify for and remain on Medicaid. We can help you to plan for what type of care you or your loved one will need, and how they can get it. In addition, we focus on helping individuals and families to protect their most important assets while still qualifying for the Medicaid services. The earlier you begin planning for your potential Medicaid long-term care needs, the more effective asset preservation you will be able to put into effect. While anytime you are facing any type of difficult medical or age related situation, it is going to be stressful, we are here to help ensure everything goes as smoothly as possible. Contact us to set up a consultation with attorney George Hough, and we will discuss all your options and help you plan for your long-term care needs through effective Medicaid planning.